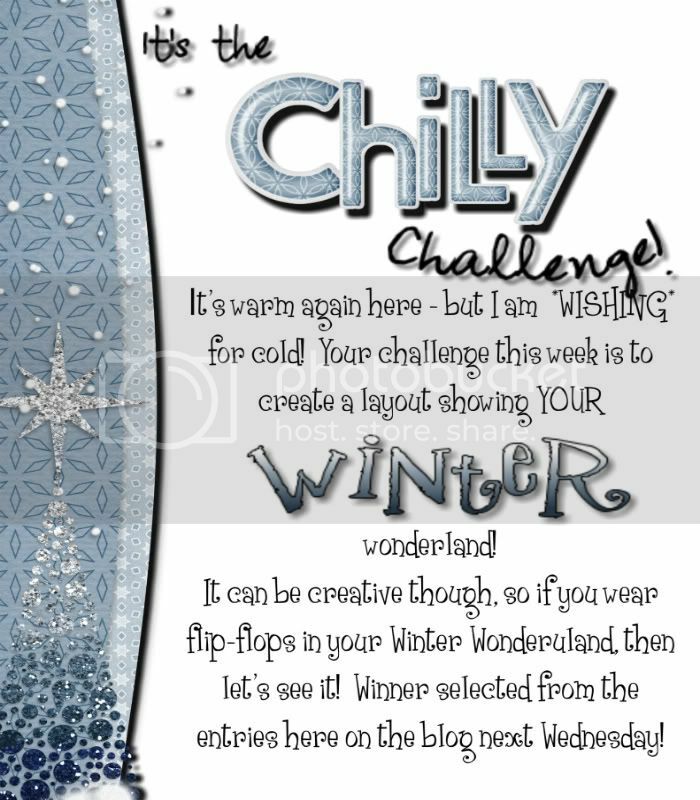 MyMemories Blog: It's the CHILLY Challenge!! And as always, there's a new winner from last week's challenge! There were some GREAT entries in the *Small Changes/Big Difference* Challenge! 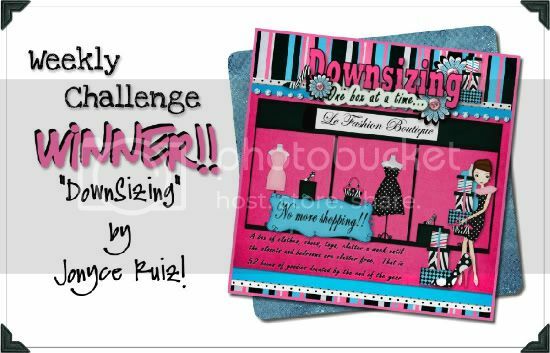 A *BIG* congratulations to Jonyce Ruiz for her *Downsizing* page! Thanks for all the hard work on ALL the pages! Please email me at LisaJ@MyMemories.com to get the info you need to claim your prize! Congrats Jonyce!!! All that hard labor of the downsizing paid off! A well deserved win! Great page. My first entry! Won MMS just after Christmas so still learning the basics. I completely agree with this one. I LOVED this page and even found myself talking about it in the store later with my husband :-) Congrats Jonyce! Yay, my favorite win, congrats Jonyce! Congrats to the winner!! I wasn't sure if we were allowed backlinking? I added my entry that I just loaded to my blog on Sunday. If it's to be new, just let me know. Thanks a bunch!! Well deserved. That is the cutest page. I love it. I'm new to this blog and I am so glad that I found it. Congratulations to the winner, I like the page very much.